In today’s day and age it can be increasingly hard to know what to buy, what to look for, and what’s truly healthy. Sometimes the best way is to keep it simple and give yourself some guidelines to work by. The diet is always changing with the seasons, the palette, how we feel, and with personal preference. It’s something we refine through our lifestyle and experience. Here’s 5 guidelines to go by when selecting your favorite chocolates. – Processed Sugar Free: Chocolate is well known to balance blood pressure. However, processed sugars are known to increase blood pressure. So if you want the heart and vascular benefits of real chocolate, avoid the chocolate with high amounts of processed sugars. Opt for low amounts of mineral rich, unprocessed sugars with dark chocolate so you can enjoy the positive benefits of cacao. – Cacao powder that has undergone Dutch processing: If you use cacao powder at all in baking or smoothies then try to get natural cacao powder. Level it up again and get organic and raw. Dutch processing is a process of alkalizing cacao to make the taste less bitter by ‘washing’ it with a potassium carbonate solution. This takes the cacao’s alkalinity from around 5/6 to 7, close to that of water. Natural cacao powder will have a more bitter, natural taste, whereas a Dutch process will have a sweeter, less strong taste. So get used to the delicious bitterness of natural cacao, that’s the medicine! – Milk and Dairy free: It’s important to find a chocolate bar that’s milk and dairy free, the reason being that for the most part, a milk chocolate will contain far less chocolate than a dark chocolate bar. 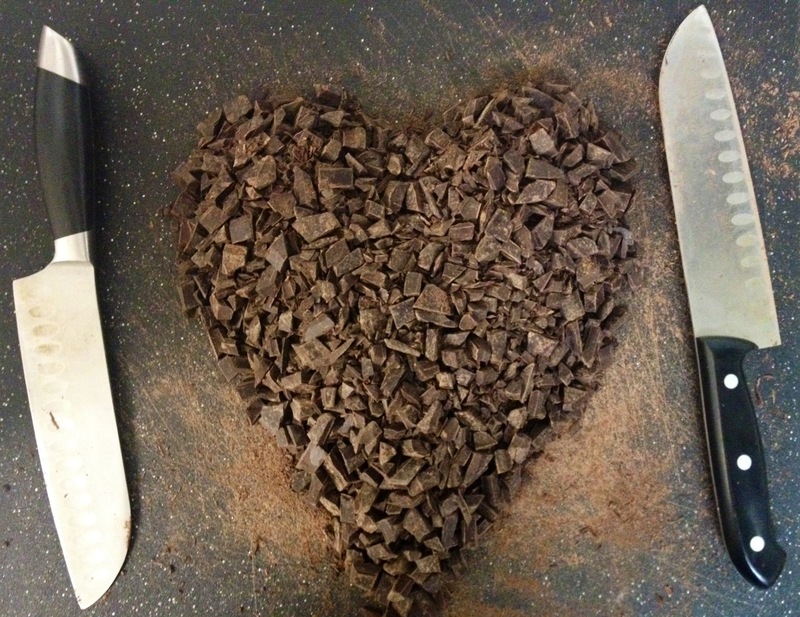 It’s the chocolate we’re going for, as it holds the anti-oxidant, mineral, and heart benefits. Also, often the milk and dairy used in chocolate is inorganic and sourced from factory farmed situations where the cows are pumped with anti-biotics and hormones, which of course is carried through to the milk they produce. All in all, if you want milk chocolate, try finding an organic or vegan milk chocolate. – Raw Cacao: If you can, source a raw cacao. Raw cacao, if from a good source, hasn’t been heated over 105 degrees and retains all of the wonderful mood balancing and brain boosting neurotransmitters that raw cacao is so loved for. If you’ve never experienced it, try eating a conventional chocolate bar, then the next day, eat the same weight in raw chocolate and FEEL the profound difference. When it’s raw, it will contain many of the heat volatile nutrients and neurotransmitters in cacao such as tryptophan and PEA that truly make cacao ‘the food of the gods’. – Fillers: Stay away from chocolates that contain unnecessary fillers. While these fillers may help the producers, as they are often less expensive than using real chocolate, they often won’t help the body. Frequent chocolate fillers are soy-lecithin, palm oils, ammonium phosphate and others. This is an increasing concern as the prices of bulk chocolate and chocolate production increases. Look for chocolate without any fillers. When all of these factors are taken into account, you’ll likely be enjoying a dark chocolate bar, between 70% – 80% pure cacao. Let’s start with a disclaimer here. Most chocolate that claims to contain “Shilajit” or “Mumie” is loaded with a powdered counterfeits. Any chocolate other than the “Food of the Gods” and any resin other than Pürblack, will not produce the effect or desire to put it in your mouth and roll up your eyes. At this time, there is only one company on the planet making chocolate with Pürblack. It is Wise One Superfood’s Magnetic Warrior chocolate. Now as we “warned you” let’s look into the sacredness of Cacao. Theobroma Cacao directly translates to ‘Food of the Gods’. Our ancestors had the right idea in mind when they named this sacred superfood; there is no other food on Earth in quite the same league as raw cacao. Before we begin to explore this in depth though, let us be clear about the difference between ‘cacao’ and ‘cocoa’. Cacao was the term used by the Aztecs for this sacred substance. They would even make it into a ceremonial drink dubbed ‘Xocolatl’ which was raw cacao mixed with spices. Natives traditionally imbibed the concoction before embarking on vision quests utilizing the mystical Psilocybe mushroom. Once the Spanish arrived to conquer the Americas, the etymology of cacao became more complicated. Europeans took the cacao back to their homeland and added large amounts of sugar; the result Cocoa (yes there is a difference between cacao and cocoa). These days, when one utters the word ‘chocolate’ many peoples’ minds fill with pictures of Hershey’s bars and M&M’s; in my opinion mere insults to the actual nature of this unique botanical. When I speak of chocolate, I am referring to the unadulterated cacao bean, in its whole food natural state. Traditionally, cacao was only occasionally used when the need for powerful medicine existed. What lucky souls we are, to have access to things like Pürblack Live Resin and pristine cacao beans! The two have a synergy that is like making love to Aphrodite while riding a magic carpet. On a side note, the inside of a cacao bean should ideally be a deep purple hue, indicating high concentrations of antioxidants. Real cacao has a very exotic & immense nutritional profile, boasting more magnesium than any other food save hemp seeds. Magnesium is ubiquitous in the human body, responsible for over 300 biochemical reactions. Jaw-clenching (bruxism), anxiety, insomnia, muscle tension, and restless sleep are all signs of magnesium deficiency. Before & during their cycle women often crave chocolate because the magnesium causes relaxation & mitigates depression & mood swings. In addition, cacao contains the feel-good chemical phenylethylamine, as well as anandamide. Also referred to as ‘the bliss chemical’, anandamide bears a striking resemblance to delta-9-tetrahydrocannabinol (the main active alkaloid in smoked cannabis) and acts on endogenous cannabinoid receptors in the brain. It generates feelings of euphoria & is a potent anti-depressant, sans all the side effects of typical pharmaceuticals. Don’t expect to get high though, as you’d need to consume over 25lbs of raw cacao to experience a similar feeling to THC. To top of the list, cacao also contains significant amounts of iron, potassium, zinc, copper, protein, healthy fats, & fiber! A common misconception is that chocolate contains caffeine; in reality there are negligible amounts if any. Theobromine is what gives cacao its stimulant edge; 1/4th the potency of caffeine as a CNS stimulant but 2x the strength as a vaso/bronchodilator. For these reasons, cacao makes an excellent choice for asthmatics or those with poor circulation. People perceive the taste of cacao as intensely bitter the first time, especially those used in Hershey’s style chocolate. It is an unfortunate representation of the hijacking aimed at American’s palates. Hyper-palatable food designed in laboratories render many immune to the rich, earthy, natural tastes in whole foods. Such intense combinations of fat, salt, & sugar like those found in fast food are unnatural & do not occur in nature. The good news is in: you DO have the power to reclaim your taste buds from corporate conglomerates. In a matter of weeks, you can mindfully train your taste buds to like just about anything. So, why not make them enjoy healthful, healing foods? If your desire is to consume nutritious substances like cacao consistently, it’s worth the effort to adapt the tongue to them, so as to gain the most health benefits. One cacao bean isn’t going to make a huge difference, but a few cacao beans a day could have massive benefits for magnesium deficiency & mood disorders. Imagine a world where people pop cacao beans instead of Pringles. To take cacao (the food of the gods!) and combine it with Pürblack (and finetune your body) is so good it seriously seems like it should be illegal. The smell of cedar wafting into my nostrils causes the most intense orgasmic burst of pleasure that a scent has ever produced. The sky seems incredibly blue & gorgeous, I find myself constantly thinking about how incredibly content I feel, from a very deep place. Soon after my face melts due to the blisteringly intense procognitive boost received. Commonly used stimulants like coffee & yerba mate fall by the wayside with their inferior nutrient profile. The applications for this synergistic combo are multiple: ultimate sensual enhancement, intense pre-workout, potent anti-depressant, healthy cough suppressant, and just for plain old fun. Who knew playing with one’s neurochemistry could be not only healing, but also totally safe! I just finished a beautiful hot flow class, mindfully guided by Rose, felt grateful. Left the studio, walked to the 99 bus in the cool rain. The ads finally Settling my eyes on the moisture filled windows. I remembered I had chocolate. Ohhh chocolate given to me by Rose how lovely the thought. I root through my yoga bag and find the cardboard box. I pull it out and am captivated by its beauty, brown background embossed with a golden dragon. I brake the top seal to a pleasing rumble beneath my fingers. Once open the brown cardboard leafs reveal a shining orange package. I break the ruffled edge with a clean sharp tear and bring the opening to smell the aroma of chocolate. My fingers reach through the hole and grab onto the smooth firm square snap a brisk surprising snap. Pause to feel the edges taste the chocolate when the shards begin to melt. I notice my toes and feet moving in their happiness. No longer aware of the 99 I’m transported to another place the forest fresh smells satisfaction sweet pleasures. Oh I’m at the canada line and leap off as the doors close. I marveled at the extraordinary pleasure the extraordinary trip I consumed with a small perfectly square of dark mahogany colored chocolate. I am elevated. Broken bones, torn muscles, injuries -Dr. Shakirov Ph.D. | Shilajit, Moomiyo, Pürblack. You are probably reading this article because you either already experienced how powerful Pürblack is in a healthy regeneration of bones or soft tissue. Probably you have recently injured yourself or heard from a friend that Pürblack is great for you. Alternatively, maybe you are just a medical scientist trying to understand if there is any validity behind the statements we are making on this website. The fundamental medical research that linked regeneration of tissue to mineral pitch resin was a second-level dissertation by the Soviet orthopedic surgeon Dr. Adil’ Shakirov. In order for you not to get lost in the hierarchy maze of the Soviet science, there are a couple things you have to understand about awarding doctorates in Soviet Union. The first doctorate awarded was a degree of “Candidate Of Sciences.” The second much higher doctorate was the degree of “Doctor of Sciences.” The “candidate of sciences” was awarded for innovation or optimization in a branch of science or industry. The second one “Doctor of Sciences” was awarded for serious and substantial discoveries in a specific science branch. It is hard to equate the two Soviet degrees to the Masters or Ph.D.’s earned in the United States. The reason is that the Soviet scientific standard was significantly more rigorous. The year is 1967, and our attention is on a seasoned surgeon defending his “Doctor of Sciences” title before a group of medical Ph.D.’s. The name of the doctoral thesis is: “Moomiyo-asil in a comprehensive treatment of bone fractures (experimental and clinical research).” You will probably wonder what Moomiyo-asil means. Moomiyo is simply mineral pitch resin commonly known as Shilajit, Salajeet or Moomie. Asil stands for pure, original, or genuine. Dr. Shakirov analyzed the effect of mineral pitch resin on 137 animals and 165 patients. The research proved that using mineral pitch substantially speeds up the regeneration of bones. 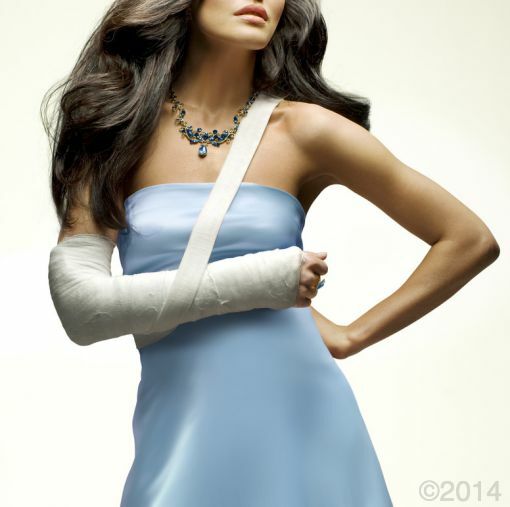 He observed not only the fracture consolidation speed. The scientist also discovered that in patients who consume mineral pitch after the fracture, there is a substantially better mineral deposition at the site of the fracture. Blood profiles and overall wellness improved as well. DO NOT RUSH TO BUY SHILAJIT, MUMIE OR MOOMIYO. If you are thinking of going out there and getting a “quick-fix” Shilajit, Mumie or Moomiyo BEWARE. Mineral pitch (a.k.a. Shilajit, Salajeet, Mumie or Moomiyo) is the most counterfeited supplement in the world. Because of its notoriety in Ayurvedic medicine over 99% of what is called Shilajit or Moomiyo on the market are simply fake imitation products. You can find our post about imitations by clicking this link. The substance that Dr. Shakirov used in his studies was mineral pitch-Moomiyo “sifted” by chemists and doctors working under rigorous scientific standards of the Soviet medical science machine. Using a substandard substance meant loss of reputation and potentially a felony with years in prison. Moomiyo used in scientific research was properly screened and prepared. Unfortunately, modern-day Russia as well as India both have very loose standards of quality. Because all mineral pitch resin looks almost the same it is impossible for an educated consumer to distinguish what is quality and what is not. In most cases if you are not purchasing from a reputable company you likely to get a cheap knockoff. We have published a standard questionnaire which will allow you to pick high-quality mineral pitch. IS PÜRBLACK LIVE RESIN DIFFERENT? Pürblack live resin substantially differs from any mineral pitch resin, Shilajit, Moomiyo available on the market today. Invention of Pürblack resin took a substantial time and effort. We were very aware of the standards that Dr. Shakirov used in his research. It was also very clear to us how companies manufacture high quality and substandard quality Shilajit. The goal was and is to outperform and manufacture the resin exceeding quality and efficacy of what Dr. Shakirov used in his research and what Charaka Samhita (foundation text of Ayurvedic holistic medicine) describes. You can review Pürblack’s patent application by clicking this link. The resulting Live Resin by Pürblack not only to the best and can do what Dr. Shakirov’s Mumie-Asil and authentic Shilajit resins from the Himalayas do. Pürblack also shows multiple properties, which were not traditionally attributed to neither Shilajit nor Moomiyo. As a company we file all the FDA prior notices, follow good manufacturing practices and import the product legally into the country. On the transparency side, a comprehensive certificate of analysis is publicly available through our website. We protect our customers from counterfeits. Starting September 2014 each jar of Pürblack Live Resin has an individual serial number to verify authenticity with the company. Copyright 2014. All rights reserved Adaptive Energy LLC-Pürblack. And check out the first ever chocolate bar with Purblack Shilajit! 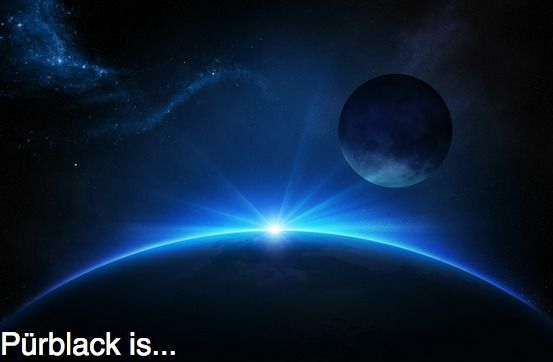 SLEEP, CLARITY, ENERGY WITH PÜRBLACK. By Debbee Sharpe. It is through a dear friend in Los Angeles that I was introduced to Pürblack Live Resin and now have it in Texas. Being very appreciative for the suggestion that it would probably be good for me, I decided to give it a try. Now I’ve only been on Pürblack for three weeks and have noticed a few changes. Let me give you an insight to my life and how Pürblack shilajit has helped. I have been in fitness as a teacher, trainer, business owner, and consultant for 34 years. Currently I own a Pilates studio in Coppell, Texas and and offer Mat to Saddle Pilates Method Clinics to equestrians to better their seat. I live on a small horse farm and have the position of Farm Manager. Those duties are in addition to caring for my own three horses and two Labradors. Needless to say my life is on the active track 8-14 hours a day. The last few years, about 10 to be exact I have had trouble sleeping. I sleep for an hour or two and wake up. Sometimes I can turn over and go back to sleep and sometimes I’m up for several hours before “napping” again. Four to five hours a night of sporadic sleep is a normal night. My body has adapted but every few weeks I run out of steam and drop, literally drop almost on the spot and can’t do anything for a couple days. A side effect of this is not having a functioning brain show up when I need it sometimes. I wrote a magazine column for a while and sometimes barely made deadline waiting for my brain to kick in. I have clinics to prepare for and clients to give my best efforts to and sometimes this is a big order. Enter Pürblack Live Shilajit. The changes were subtle at first then undeniable. In the last three weeks I’ve noticed a different sleep pattern that started changing on day four. I’m not necessarily sleeping longer but I quickly go to a deep, restorative sleep. I’ll wake up and feel like it must be several hours later and only a hour has past. Usually I can fall back asleep quickly and repeat the same thing. Bonus – sleeping deeper has given me a functioning brain again. I would say that what I feel is more clarity. That has given me the ability to quickly deal with answers for clients and can see logical procedures when issues arise on the farm. I have more energy and that is wonderful! I have friends and clients on the resin now and I am looking forward to seeing what the next couple months bring. Camu Camu is native to the South American rainforest, growing in the Black Water River regions of the Amazon. It is known to be one of the most nutrient dense concentrated botanicals of Vitamin C in the world. Ounce per ounce, Camu Camu may provide over 50 times more VC than an orange, with a 13-16% VC content by weight. Maintaining your VC levels with Camu Camu is far superior then a tablet form of pure VC or Absorbic Acid, as the co-factors in Camu Camu help with the assimilation and efficacy of the VC. VC is an essential component to a properly functioning immune system. Our body can’t produce VC, and if we go long enough without it, we end up with scurvy, an unfortunate disease to befall many an unsuspecting sailor. Luckily for us, VC is readily available in the fresh foods and vegetables that we, hopefully, eat on a day-to-day basis. However, we do not only want to make sure we get adequate levels of VC, but also ensure that we have an abundance of it in our diet. Ensuring we get ample amounts of VC will increase our immune response, increasing our natural killer cell activity, and ensuring we can easily ward off the common cold or virus. An adequate amount of VC is also important in reducing inflammation and building collagen, an important longevity and beauty essential. Aside from its Vitamin C content, Camu Camu is a rich source of potassium, amino acids, phytonutrients and antioxidants like beta-carotene. 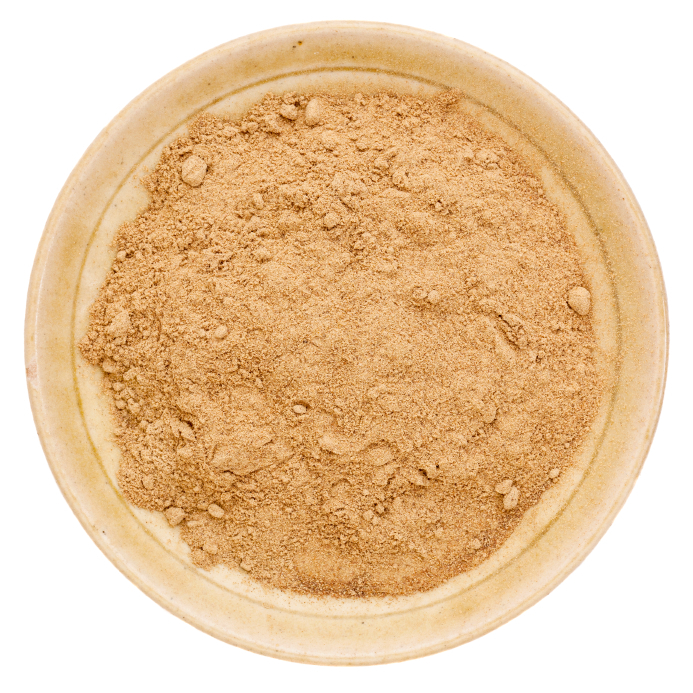 Camu Camu is available in tablet and powder form. While it can be convenient to take in tablet form, it can also be a lot of fun to play around with the powder in food and smoothies. Camu Camu has somewhat of a strong taste, so be mindful to not over do it, and risk throwing off your delicious creations. I’d recommend adding it to your next smoothie or juice. Camu Camu is quite bitter and astringent (it’s the Vit C, you’ll learn to love it), so adding it to an already bitter drink will add a wonderful zing. Add it to a green juice, a berry smoothie, or a lemonade. It goes particularly great with medicinal mushrooms like Chaga and Reishi, as well as algae like spirulina, chlorella, or AFA algae. This is one of my all time favorites, and a truly amazing boost to add to your thrival strategies. Mix it all together and shoot down! It tastes horrible, but feels great. It’s worth it, right? If you don’t have E3 Live on hand, try substituting 1 tsp spirulina / chlorella mixed into 1 oz water. We’ve joyously added Camu Camu to our Time Traveler chocolate, helping you to get your daily VC and other superfoods like Chaga and E3 Live Brain On. Until next time, stay WISE. For chocolate lovers and coffee lovers alike, mycotoxins can be our worst enemy. They’re like the mysterious super villain that works behind the scenes to squash the plans of the superhero. Or that guy that nobody invited to the party who ends up spilling wine on your new carpets. In other words, mycotoxins are not our friends, and something we do well to avoid as much as possible. The less mycotoxins we consume from our environment and in our food the better. It may be impossible to avoid mycotoxins completely but reducing them as much as possible with some simple changes to our diet and lifestyle can have profound effects on our health and overall well-being. Mycotoxins grow on mold and yeast that form in damp environments and during the growing and processing of many common foods. There are many forms of mycotoxins, including the most common like aflatoxin, fumonisms, and trichothecenes. Mycotoxins can contribute to many health problems like weight gain, brain fog, fertility problems, cancer, insomnia, and kidney and liver failure. A good way to know if our body is dealing with mycotoxins can be recurring nightmares, brain fog, heightened allergies and increased heart beat, especially after eating mycotoxin laden foods or walking into a rotting or moldy building. Prolonged exposure to mycotoxins can cause dehydration and override the liver and lungs, causing a toxic build-up, which dramatically reduces the wonderful healing capabilities of the immune system. One of the main sources of mycotoxins come from damp homes and buildings that have had floods or water leaks. Ensuring that your living space and car is free from toxic molds and fungus is a great start. Whether your home smells damp or you simply suspect it of having mold problems, it can be a good idea to have someone come to your home and test for toxic mold and mycotoxins in the air. There are many great air testing services in most cities. Here are the most common foods that contain mycotoxins. Do heating and cooking destroy mycotoxins? Heating, roasting, and cooking can destroy many molds and yeasts that form on foods but unfortunately the mycotoxins that grow and thrive on this mold are not destroyed, requiring up to a thousand plus degrees farenheit to be destroyed. How can we protect against mycotoxins and mold? If you suspect your home or work environment to have mold, get it tested. It’s best to be safe than sorry. 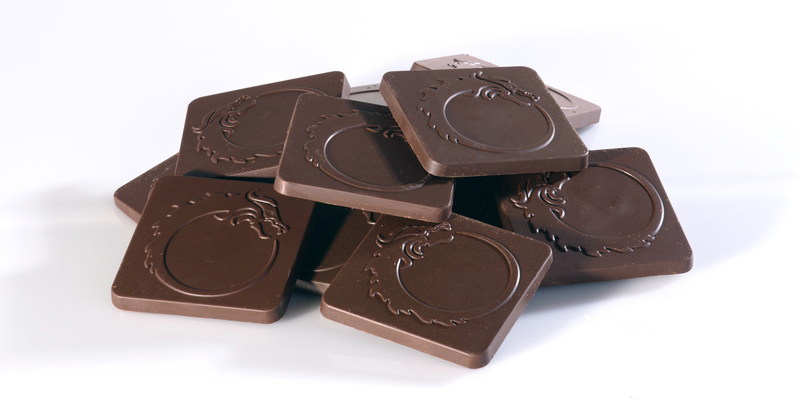 In chocolate, just because it’s roasted doesn’t mean it is free from mycotoxins and molds. It is imperative to find a high quality cacao that is processed and prepared with care. The truth of the matter is the chocolate industry is not adequately regulated for mycotoxins and mold, making chocolate high on the look-out list for mycotoxins. We take special care by testing each batch of our chocolate and use proprietary processing techniques to ensure a mycotoxin and mold free chocolate. Learn more about our mycotoxin free chocolate. We love chocolate. A lot. We want to share it’s health benefits and healing properties with the world. So we’ve taken great care in sourcing the highest quality most life giving cacao that we know exists. So what makes our beans so special? First off, we select only beans harvested in the high altitude, mineral rich volcanic soils of Ecuador’s mountain regions. The trees in this area produce an heirloom variety of cacao, called Arriba Nacional, which unlike more common types of cacao is not hybridized, meaning their genetics are still intact and they can live more harmoniously with the wild environment. These trees, some being over 80 years of age, are fed only by mountain springs, rain water, and the hot Ecuadorian Sun. The clean environment and mineral dense soil provides a healthy cacao that ensures a mineral dense, dynamically flavored, and highly activating wild chocolate experience. This usually means you can eat less of our nutrient rich chocolate and still get that fix. Save the rest for later or share – your friends will thank you. Secondly, each batch of our beans is tested on site for mold, yeast, fungus, and mycotoxins, to ensure a clean and toxin free cacao. Most of the world’s chocolate supply is unfortunately unregulated and sourced from processing facilities located in large industrial complexes. This can make for polluted ground water and air, and can be festering grounds for insects and bacteria, translating into a dirty cacao that then gets sold off to large distributors or chocolate producers as ‘high quality’. The problem here is that the chocolate industry is unregulated in its mycotoxin testing laws. If a container of chocolate gets flagged for high mold, it often gets sold off to another facility free of testing. A high mycotoxin count in any of the foods that we eat can lead to numerous health problems and even contribute to a caffeine like jittery sensation often associated with high amounts of cacao. Fortunately for us, we’ve taken measures to ensure a mycotoxin free cacao. It’s as clean as it gets. We also cold process our cacao in a proprietary manner that doesn’t require roasting, so unlike most of the chocolate on the market, you’re getting a cacao that has all of it’s naturally occurring wild nutrients and brain pleasing boosters such as tryptophan and PEA. In our endevours to provide the most pleasing and sensually tantilizing raw chocolate experience ever, we sincerely hope you will join us on this wildly inspiring adventure. To learn more about the magic that makes cacao the lover’s favorite gift and ‘the food of the gods’, check out our blog on the Science of Raw Cacao.